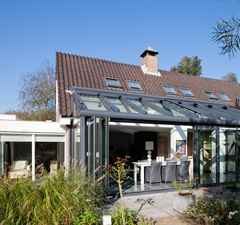 Ideal when you are looking to extend your living space, the Wintergarden is a fully insulated extension to your home. 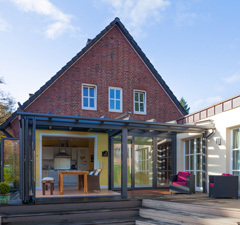 Like a garden room or veranda, this glass room creates a seamless transition between your home and garden, but being fully insulated it provides the benefit of all year round use. The light and airy Wintergarden is a sophisticated, top of the line, German quality aluminium glass room that provides you with even more space. 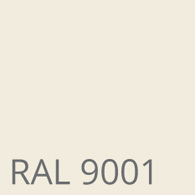 Indoors and outdoors blend into one as the Wintergarden brings the outdoors inside. The glass roof and bi-fold doors allow for light to bathe your home, providing you with a brighter and more airy space to enjoy. This creates a special atmosphere throughout each season, as the thermal efficiency of the structure allows you to relish this space all year round. As the Wintergarden glass room is fully insulated it can be used for anything that you require, whether that is a new space for a kitchen, dining room or lounging area - the possibilities are endless within this glass get away! 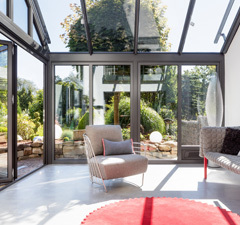 The completely bespoke design of the Wintergarden ensures that no matter the size or shape of your home, we can create a Solarlux glass extension to suit you. 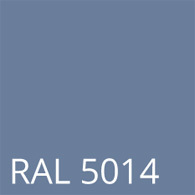 *Please note that the Wintergarden is sold including installation. Fully insulated bespoke glass extension that can be used whatever the weather. The perfect solution where additional space is required in an existing property. Light, airy and spacious, contemporary architecture. 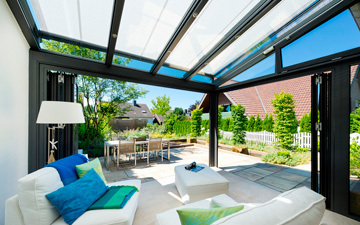 Thermally insulated – the Wintergarden regulates the temperature and harnesses the power of the sun to save you energy. Incredibly flexible! Choose from an array of optional extras including bi-fold doors, sliding doors, ventilated roof panels, shade systems, heating, lighting and more! Double glazed roof and glass doors (triple glazing is also available). Fixed Glass Side Walls - Fixed glass side walls can incorporate a window and a door. Bi-Fold Doors – Bi-folding doors may be incorporated. A 5 metre run of panels can be neatly folded away into a space of just 50cm deep! ‘Patio’ Style Sliding Doors - Sliding Style patio doors feature stainless steel door handles and locks if desired. Whilst you will benefit from swathes of natural ventilation when the doors are fully opened, additional ventilation is available by way of tilt and turn windows, and integrated optional skylights for a boost on a hot summers day. 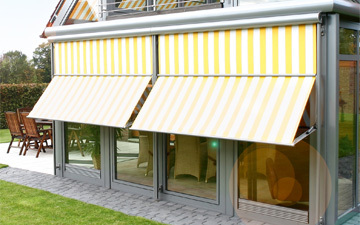 For those hot and stuffy summer days we offer a range of exterior awnings, which catch and reflect the sun rays before they enter the building; or alternatively, a range of sun blinds, pleated and foil blinds are available for internal use. Whilst daytime will serve up copious amounts of natural daylight, the fading evening light can be enhanced via the addition of lightstrips with integrated low voltage lights, which are fitted to the individual rafters. Furthermore, a range of spotlights, halogen lights and star spot lights, all equipped with dimmable transformers are available. Adding an automatic control panel provides the maximum convenience – not only can the ventilation options be controlled, the shade and lighting systems can also be automatically controlled. We recommend underfloor heating for your Wintergarden.